Years ago, a young mother and wife of only 28 years found herself suffering from frequent, debilitating panic attacks. She began experiencing heart palpitations, nausea, sweating, and overwhelming fear. Professionals told her she had a panic disorder. It was a situation relaxation breathing had a major impact on. Her mental issues had started in college, where she experienced both anxiety and depression. The stress resulted in frequent migraines and gastritis, which led to the development of a hernia. She tried medications which had no effect, and according to one medical professional, they exacerbated her condition. However, a relaxation breathing exercise class had, at the time, helped her gain back her life. Ten years later, however, the disorder had returned, and she decided to engage in the same exercises that had previously led to a full recovery. 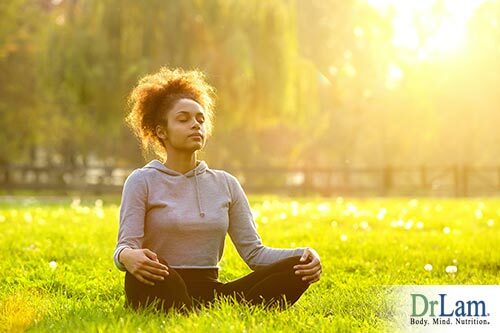 Once more starting with a special kind of relaxation breathing called adrenal breathing, designed to support healthy adrenal function, she soon marked a definite improvement. Although unaware of it at the time, she was not only relaxing her muscles but her sympathetic nervous system as well. She started feeling more at peace, and with this, all areas of her life were impacted positively. She became non-judgemental, mindful, more accepting, and had a higher tolerance to stress. Her anxiety attacks had led to her becoming bed-ridden, but with the help of adrenal breathing, she became healthy, mentally balanced, and able to spend quality time with her husband and children. Very few of us actually think of our breathing. It is an automatic response. In Western medicine especially, relaxation breathing, or adrenal breathing, is not given the attention and recognition it deserves. Many people unknowingly breathe abnormally. This kind of unhealthy breathing can cause problems especially for those battling adrenal fatigue and its myriad symptoms, including anxiety attacks. In normal breathing, three sets of muscles are involved. These are the intercostal muscles, abdominal muscles, and the diaphragm. All breathing is guided by the nervous system, especially the somatic and autonomic nervous systems. Even if you consciously decide not to breathe, your body automatically takes over with these connected systems. The autonomic nervous system regulates itself and is not controlled by the somatic nervous system, which you have conscious control over. The autonomic nervous system regulates your heart rate, for example. However, by consciously regulating your breathing, you can influence your heart rate, because breathing is connected to both these system. Deep, slow breathing slows down the heart rate. By regulating your breathing, you are influencing your autonomous nervous system. This function of adrenal breathing is very beneficial for those in the advanced stages of adrenal fatigue where anxiety is a common symptom. A panic attack can be linked to a reaction in your sympathetic nervous system. The sympathetic nervous system and the parasympathetic nervous system both form part of the autonomous nervous system. The sympathetic nervous system (SNS) releases adrenaline when your body is under stress and goes into ‘fight or flight mode’. The parasympathetic nervous system (PNS), on the other hand, sees the body’s internal rest and relaxation functions. When physically active, the SNS causes the smooth muscle of the airways to relax, allowing more air into the body. During times of less activity, these muscles contract slightly, narrowing the airways, resulting in shallower breathing as less oxygen is needed in order to cope. In other words, your body goes on red alert to fight, run away, or otherwise deal with the problem. Under normal circumstances, this reaction is of short duration. When the threat has passed, hormonal production and the other reactions associated with a threat return to normal. 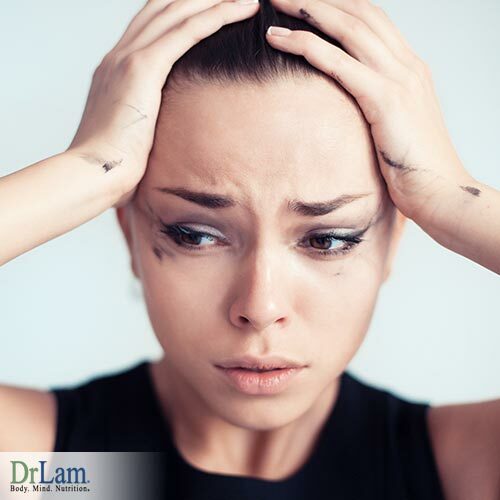 Prolonged stress, however, can have devastating effects on the body. The constant production of cortisol by the adrenal glands means your body is in a constant state of heightened readiness. This, in turn, causes the adrenal glands to try to produce even more cortisol, and adrenal fatigue sets in. The adrenal glands become overworked, and you suffer from burnout. Although Western medicine treats most of these issues separately by means of medications, many people feel that this does not work or that the medication actually compounds the problem. Natural medicine, on the other hand, focuses on the underlying cause and solving it. Breath in slowly, filling your lower lungs with air, then filling your upper lungs. There’s no need to overfill your lungs; just breathe in a slow, relaxed manner. Imagine an elliptical shape that expands as you inhale and narrows as you exhale. Let the air out slowly, focusing on relaxing the muscles in your shoulders, neck, and face as the air moves out of your body. Once you’ve practiced this adrenal breathing exercise, you can try it anytime and anywhere. It is best practiced a few times a day.